Open Primaries Education Fund has filed a lawsuit against New Mexico Secretary of State Maggie Toulouse Oliver challenging the state’s expenditure of funds to supervise and administer its closed primary elections. New Mexico is one of only 9 states with completely closed primary elections, which disenfranchise the state’s 270,000 registered independent voters-22% of New Mexicans and the fastest growing segment of the electorate. OPEF has retained the New Mexico based law firm of Bardacke Allison, headed by former Attorney General Paul Bardacke, who will be lead counsel in bringing this landmark legal challenge. OPEF is also working closely with national election law expert Harry Kresky, who has been active in legal efforts to open primary elections to independents for two decades. At issue is the unconstitutional use of taxpayer money to pay for primary elections that benefit private political party activities. OPEF is seeking a writ of mandamus from the New Mexico Supreme Court to compel the Secretary of State to cease expending public funds on the implementation of party primary elections under the existing electoral framework. If successful, this case will force a dramatic change in current primary elections in New Mexico, requiring the opening of them to all voters in order to receive state funding. Challenges in other states may follow. The case shines a bright light on how both the Democrat and Republican parties manipulate elections to serve their interests at the expense of every American. 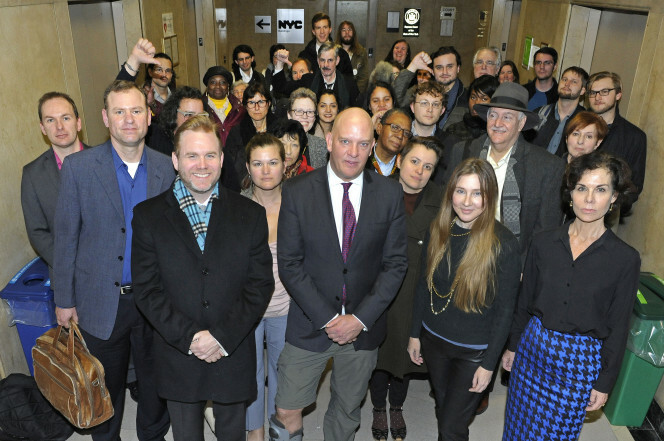 Open Primaries Education Fund is supporting trial attorney Mark Moody, who sued the New York state and city Board of Elections shortly after 2016’s primary elections, claiming that millions of New Yorkers– including President Donald Trump’s own kids– were barred from voting in the presidential primary because they didn’t change their party affiliation before the October 2015 deadline. In December 2016, lawyer and activist Mark Moody delivered his legal argument on the unconstitutionality of New York’s closed primary system. Moody also argued that New York’s change of party affiliation deadline — the earliest in the country — places an unfair burden on voters. Two lawyers — one from the Board of Elections and another from Attorney General Schneiderman’s office — stood in defense of an electoral system that prohibits 3.2 million voters from participating in the most impactful round of voting. After approximately an hour of legal debate, and fifteen minutes of deliberation, New York State Supreme Judge Arthur Engoron issued a ruling — vested in prior decisions by the Supreme Court and circuit courts of other states — that New York’s closed primary system and change of party affiliation deadline might be arcane, but they are not unconstitutional. He dismissed the challenge. Moody argued unsuccessfully in the trial court that the system is unconstitutional because it disenfranchises voters who are not registered with a major party. This was an important and positive step forward for our movement after an historically chaotic primary season in New York. We made ourselves heard loud and clear, by packing the courtroom and forcing the establishment to admit, on the record, that the rights of parties are paramount. Mark’s appeal in the New York Supreme Court will be heard in September 2018.